The ORS-5 (Operationally Responsive Space-5) is new space surveillance satellite of the US Air Force. Image courtesy of James Murati. The ORS-5 satellite was launched aboard Minotaur IV space launch vehicle in August 2017. Image courtesy of James Murati. Minotaur IV rocket deployed the ORS-5 spacecraft into low inclination orbit, 599km above the earth. Image courtesy of James Murati. The ORS-5 (Operationally Responsive Space-5) is a new space surveillance satellite that has been developed by the Operationally Responsive Space (ORS) Office for the US Air Force (USAF). Also referred to as SensorSat, the satellite was launched aboard the Orbital ATK Minotaur IV space launch vehicle (SLV) from Cape Canaveral Air Force Station in August 2017. The ORS-5 spacecraft is placed in low inclination orbit approximately 599km above the earth and is used to track other satellites and space debris in geosynchronous orbit (GSO). It is intended to provide more cost-efficient geosynchronous space situational awareness (SSA) compared to bigger and more complex satellites. The ORS-5 programme is envisioned to demonstrate the cost-efficient launch capability of small satellite and autonomous operations using the Multi-Mission Space Operations Centre’s (MMSOC) current ground system infrastructure. The Space and Missile Systems Center’s (SMC) ORS Office at the Kirtland Air Force Base is responsible for managing the programme. Authorisation for the ORS-5 initiative was granted by the US Department of Defence (DoD) in February 2014, while the production contract for the satellite was awarded in the second half of 2014. The integrated system demonstration was concluded in August 2015. The Massachusetts Institute of Technology’s (MIT) Lincoln Laboratory is the prime contractor for the ORS-5 satellite programme, which required an investment of roughly $87.5m. The satellite’s highly integrated platform incorporates vehicle components and actuators around the stray light baffle, lens assembly and camera system. The spacecraft has a length of 1.5m and a weight of approximately 113kg. ORS-5’s satellite system has a designed lifespan of three years and combines time delay integration techniques with optimised flight geometry to ensure a continuous imaging of the GSO. The structural panels of the satellite bus, sensor optics, stray light baffle, charge coupled device (CCD) mount / camera assembly and camera radiator assembly were designed by the MIT Lincoln Laboratory. The spacecraft’s onboard imaging system comprises a CCD imager, camera electronics, a lens compartment and a lightweight baffle. ORS-5’s onboard systems are powered by a combination of batteries and solar arrays. Orbital ATK was awarded a $23.6m contract by the ORS Office in July 2015 to provide launch services for the spacecraft under the Orbital / Suborbital Programme (OSP). The spacecraft was launched atop the Minotaur IV vehicle from the Space Launch Complex 46 (SLC-46) at Cape Canaveral Air Force Station. The launch vehicle deployed the spacecraft into its targeted orbit approximately 28 minutes after its lift-off. Minotaur IV SLV was configured with three decommissioned Peacekeeper stages, an Orion 38 solid-fuel upper stage and an Orion 38 insertion stage for the mission. The launch vehicle has the capacity to carry up to 1,800kg of payloads to low-earth orbit (LEO). 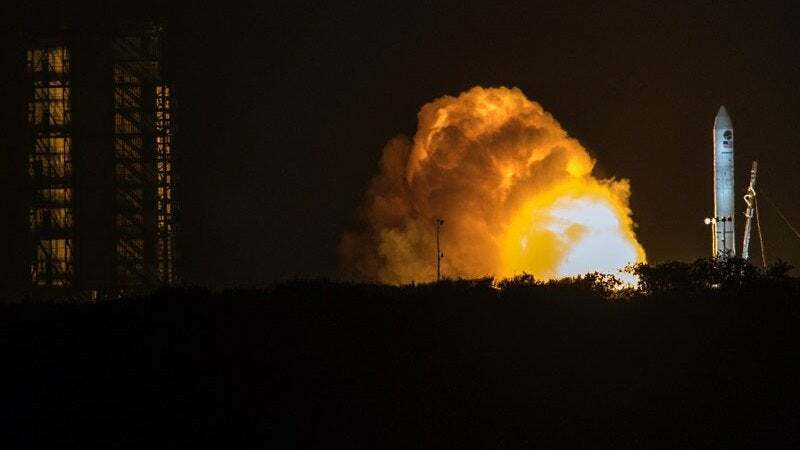 The Minotaur family of launch vehicles uses government-supplied Peacekeeper and Minuteman rocket motors, which are equipped with Orbital ATK’s advanced avionics and subsystems. The ORS-5 satellite is operated by the Air Force Space Command’s 50th Space Wing at Schriever Air Force Base (AFB) in Colorado Springs, Colorado. The satellite will transmit the space surveillance data to the United States Strategic Command via the Joint Space Operations Center (JSpOC). SMC’s Advanced Systems and Development Directorate incorporated the ground system into its MMSOC version 2.1 for the satellite. The ORS-5 is the first spacecraft to use the modernised ground system. ORS-5’s command and control is handled through the Air Force Satellite Control Network (AFSCN), while the centres at Guam and Diego Garcia serve as the primary and back-up ground stations. The Hawaii station, with limited capability, also acts as another back-up facility.